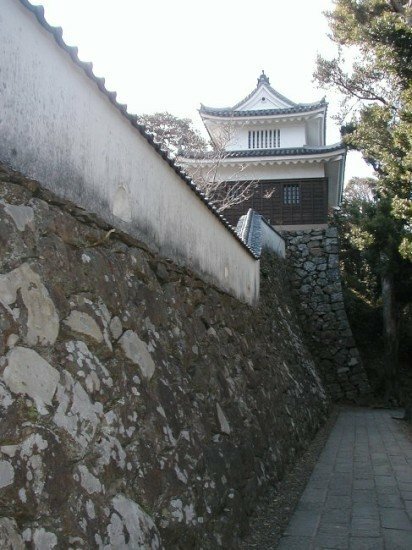 Hirado Castle is classified as a hilltop castle (its layout: Teikakushiki), and is located in Nagasaki Prefecture. 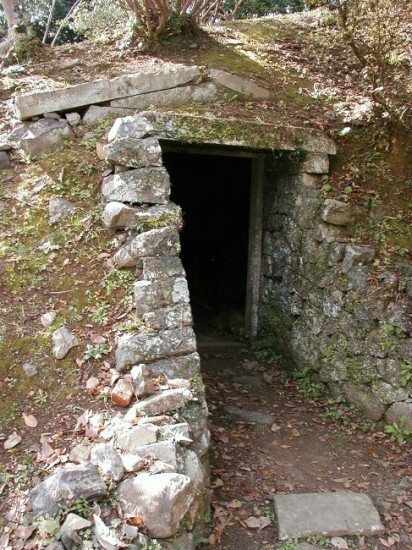 During the pre-modern age, it found itself within the borders of Hizen Province. 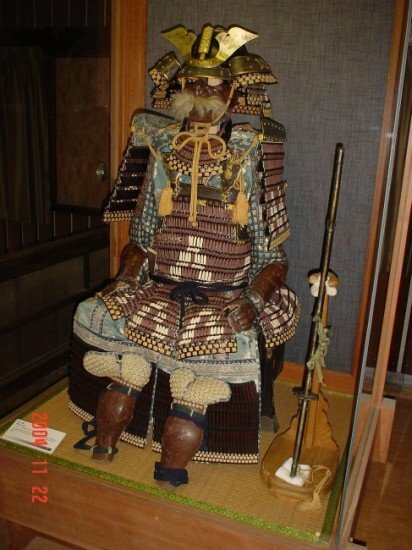 It is associated with the Matsuura clan. Dates in use: 1599 - 1871. Surrounded by sea and perched on a hill, this is a very picturesque castle. Many buildings including the main tower, which contains a museum, were rebuilt in 1962. 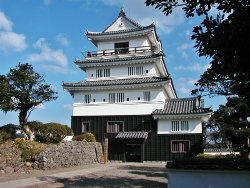 The Kitakoguchi gate and the Tanuki turret actually date from the 1718 reconstruction. 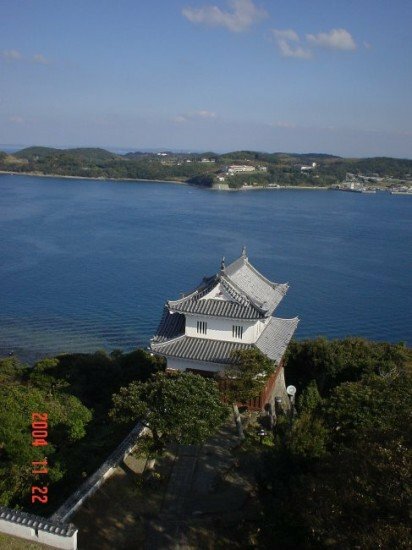 In the early 1600's Hirado port was the home to many trading houses. The British, Dutch & Chinese all had facilities here. 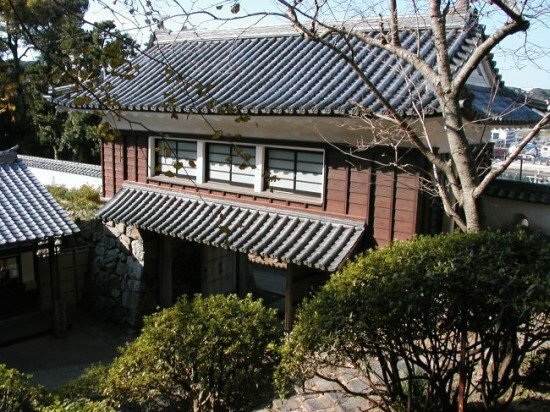 Hirado was unable to retain its relevance after the last of these trading houses were relocated to Nagasaki. 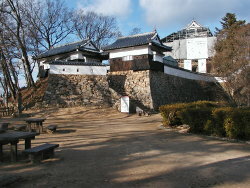 1599 Hinotake castle was built nearby. 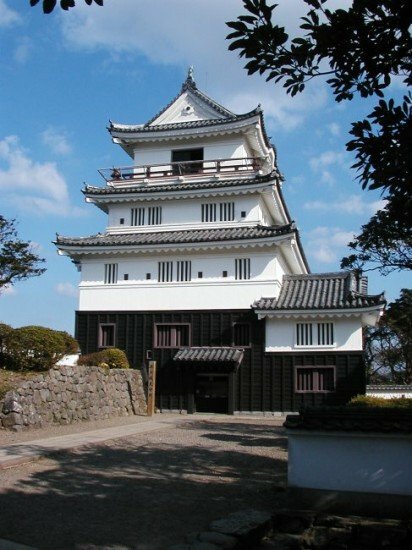 1702 An application was made to the Shogunate to rebuild the castle. 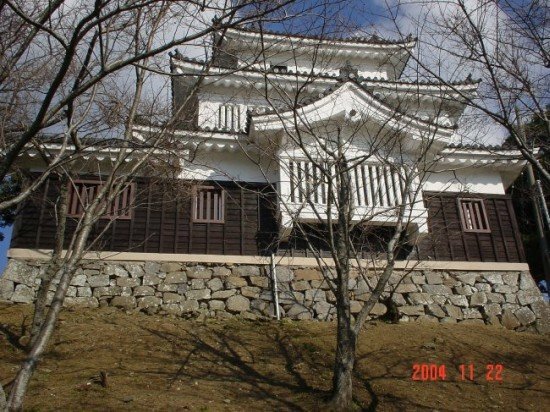 1703 The rebuilding was sanctioned by the Shogunate. 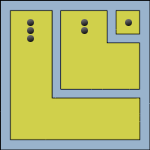 It was seen as exceptional during this period that permission was given to do so. 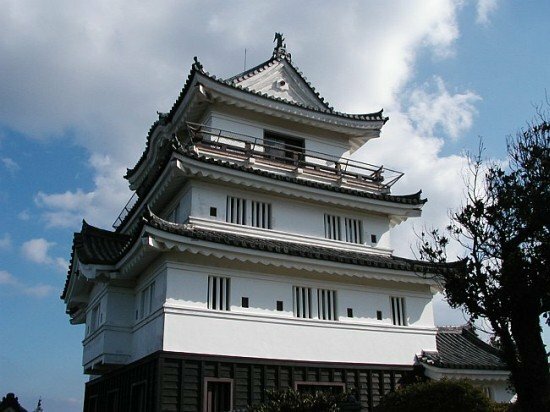 1704 Construction commenced on Hirado castle. 1960 Okimi Yagura (keep), Inuisanju Yagura, Jizouzaka Yagura, Kensou Yagura & Kaiju Yagura were rebuilt.